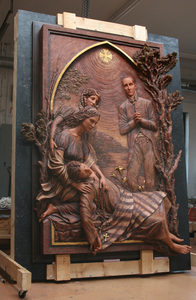 This 8 ft. high x 6 ft. wide high bas-relief panel was commissioned by St. Elizabeth Seton Church in Carnegie, Pennsylvania. 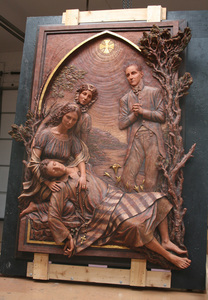 The large panel is polychromed and gold gilded. 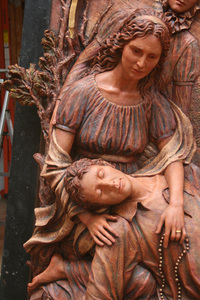 This is the matching panel with another bas-relief panel (Shoal) in the other side of the altar. 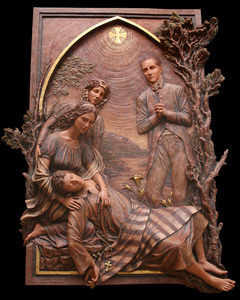 This panel illustrates the moment when St. Elizabeth Seton's husband,William, dies in Italy. 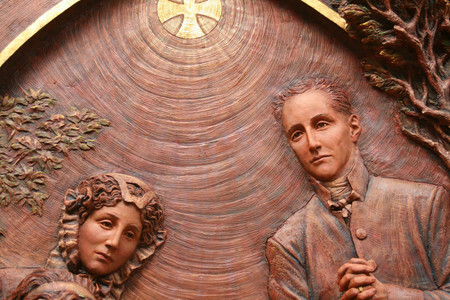 In the background stands Mr. and Mrs. Felicchi who introduced Elizabeth Seton to Catholicism and helped her through her life.